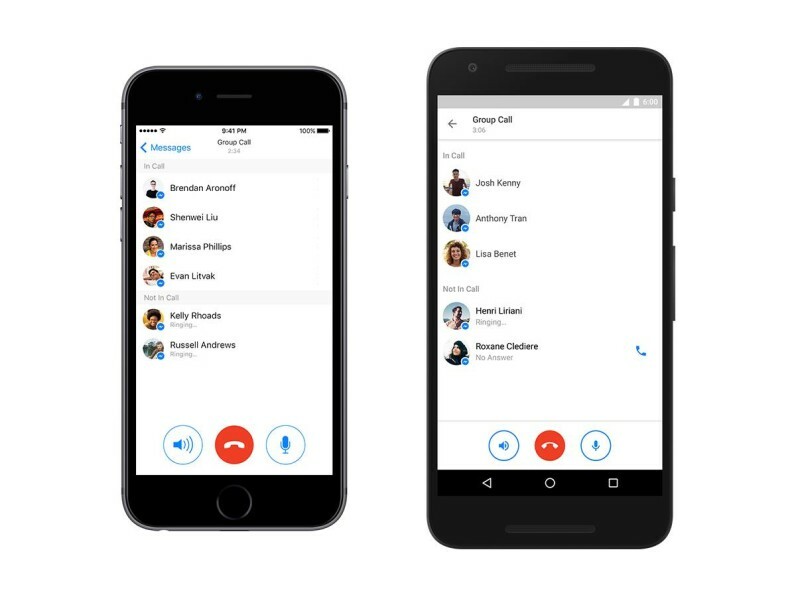 Today on Android and iOS, users with the latest update of Messenger will have the ability to start a group VoIP (voice over internet protocol) audio call from any group chat. To take advantage, just tap the phone icon and select which members you want to include in the chat. Once you’re ready, the app dials each of them simultaneously and connects them as they answer on Messenger. Facebook first rolled out one-to-one audio calling using VoIP in 2014, but today is the first time most of us have the ability to use it for groups. The feature is new, but in a limited test it seemed to work great with a small group of four participants. Currently, the feature is only good for audio calling although Facebook has been working on group video calls for some time, so chances are we should see the feature soon. Update: Earlier we incorrectly reported that there was no limit to the number of friends you can add to a group. It’s 50. But let’s be honest, nobody likes 50 people enough to want to group chat with them so it might as well be unlimited.